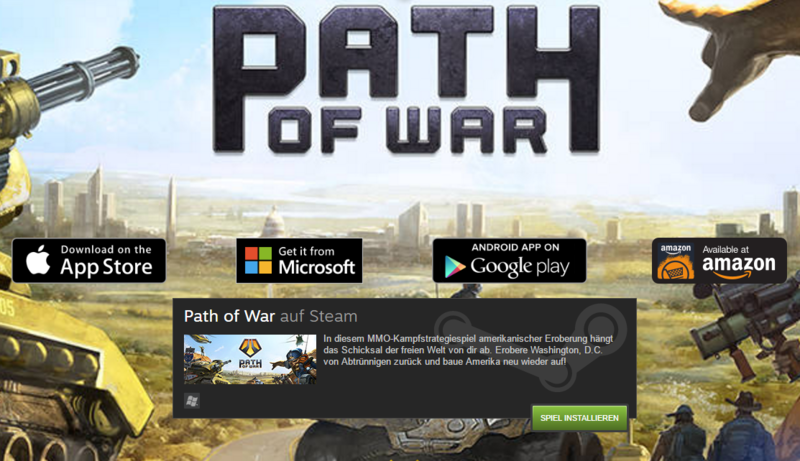 We are proud to announce that our award-winning mobile game Path of War – is now also fully featured on PC and Amazon devices. Our team was recently busy bringing the MMO strategy experience to the Windows Store, followed by the Amazon Marketplace and now, finally on Steam. With not just that, we are laying a foundation for a cross-platform game and connecting PC and mobile gamers in a vast MMORPG experience. Starting in August / September 2016 we are looking for new talents for a period ideally six months as part of their studies. If you have a strong passion for computer games and art, we will give you the chance to get into the different aspects of game development and actively participate in our the creation of arts for our upcoming exciting mobile projects. Your entry in the games industry may start right here with us. Envision Entertainment GmbH, a world class development studio specialized on deep strategy games, today announced that they took over operations of Command & ConquerTM: Tiberium Alliances, the long-running browser game based on the prestigious Command & Conquer franchise. Under a new agreement with Electronic Arts, Envision will handle development, support, community management and live operations for Command & Conquer: Tiberium Alliances. Envision Entertainment is a game developer founded by industry veterans Dirk Ringe and Volker Wertich, with most of the company’s talent coming from the original studio that developed Command & Conquer: Tiberium Alliances. Envision will form a dedicated team for the game to ensure the best experience for Command & Conquer: Tiberium Alliances players. “We love this game and we will do everything to make it an even better experience for its faithful players”, says Dirk Ringe, co-founder and CEO of Envision. At the German Game Developer’s Awards (Deutscher Entwicklerpreis) a “Special Award of the Jury“ was given to Volker Wertich, to honor his contribution to the development of games in Germany. Volker Wertich is a self-taught game designer and programmer. He started his career at the age of 14 in 1983, writing small games for Disk-Magazines. And went on to start two strategy game series Germany is famous for: The Settlers and SpellForce. During his 30 years in the industry he has designed and developed more than 20 games and expansions from start to finish. A recurring theme in his work is innovation, especially the innovation of strategy games. Volker singlehandedly invented a new genre with ‘The Settlers’. That was followed by the international smash hit SpellForce, the first to create a meaningful blend of RTS and RPG and he developed the first free-to-play RTS with BattleForge. This is no ‘Lifetime Achievement Award’, the ‘Special Award’ is given only to persons or organizations making a difference in active business. It’s the same with Volker Wertich: He recently founded a new development studio named Envision Entertainment with Dirk Ringe, Boris Kunkel and other veterans of EA Phenomic. The studio is focused on persistant online strategy games on PC and mobile plattforms. A new studio has risen from the ashes of EA Phenomic, formerly Phenomic Game Development. Envision Entertainment was formed in Ingelheim, Germany by veteran developers. From Phenomic Game Development to EA Phenomic to the brand new Envision Entertainment there’s an unbroken line of dedicated key personnel: Dirk Ringe, Boris Kunkel and Volker Wertich, who were the original founders of Phenomic in 1997 and later the senior management of EA Phenomic, are still on board and eager to lead their newest endeavor to success. Dirk Ringe and Boris Kunkel accepted the responsibilities of CEO and COO, respectively, while game design mastermind Volker Wertich (best known for the iconic ‘The Settlers’ series) took the mantle of Creative Director. The new studio has acquired Ubisoft as their first business partner, working together on a number of projects. Other Envision clients will be announced soon. Envision has a 25+ strong team as well as very good network of freelance personnel and is able to handle small and mid-sized projects, from mobile to browser to client.